Small running patch, exquisitely embroidered in classic colours on a stately shaped shield. 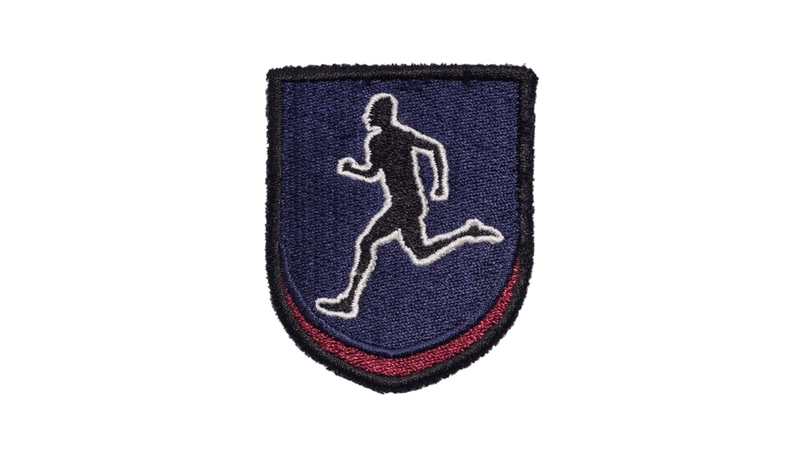 This running patch fits superbly in between two initials, on bags that you can use on the track. Whether it's our personalised boot bag to store your trainers after the race has been won, or our kit bag that holds that extra pair of thermals, our running patch keeps you looking top of your game!